Bel canto literally translates from the Italian, as ‘beautiful singing’ – a tradition of singing that from the mid 18th century through to the early 19th century originated as a popular Italian opera style. It followed the idea that the beauty of the voice is put above all else, but naturalness was the aim, no matter how much training was actually involved. The opera style is especially associated with Italian composers of the early 1800s including Rossini, Bellini and Donizetti, with their simpler, lighter, comic style tales of love and romantic passion, often complete with mad scenes but full of long flowing melodies. Later composers from Italy and elsewhere also copied the style or were influenced by it, from early Verdi – who some see as continuing where Donizetti left off, to dramatic composers like Wagner, despite storylines becoming weightier and more serious. Italians are still the masters of bel canto, and in Autumn 2018 we performed Rossini’s La Cenerentola with a cast that included several Company debuts by Italian singers known for their bel canto repertoire: Giorgio Caoduro as Dandini, Matteo Macchioni as Don Ramiro and Fabio Capitanucci as Don Magnifico. Irish mezzo-soprano Tara Erraught, our Angelina (aka Cinderella), has also got a name for bel canto singing and if you missed her in our production there’s a clip available on the BBC you can listen to, where she sings the brilliant aria ‘Non più mesta'. Donizetti is another of the ‘three greats’ of bel canto and following this Season’s Roberto Devereux, we are putting on a smaller scale version of Don Pasquale which tours to venues across Wales and England this summer. 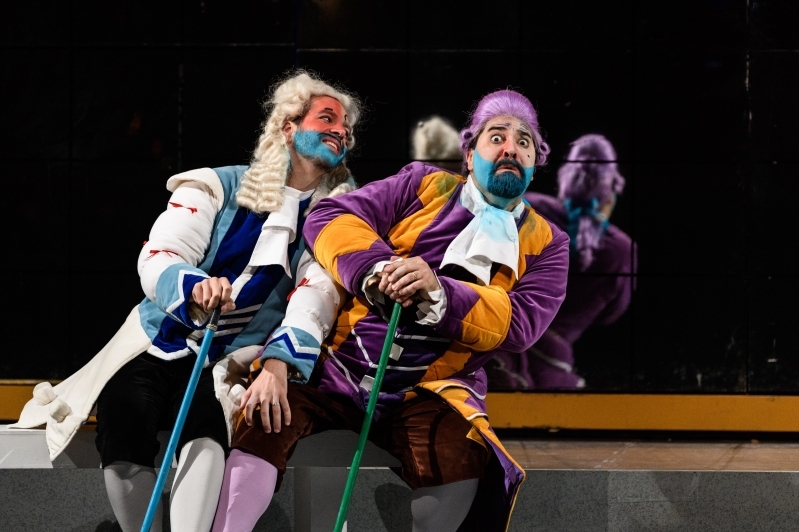 Don Pasquale is, in complete contrast to Roberto Devereux, a truly funny comedy, but with some fabulous bel canto singing such as Norina’s aria, ‘Quel guardo, il cavaliere’. Our new production has been brought bang-up-to-date by Director Daisy Evans and Conductor Stephen Higgins. The original themes of an old bachelor having his romantic delusions shattered by the young lovers, his nephew Ernesto and Norina, who outwit him, now centre around a doner kebab van empire. But the story hasn’t been changed just given a modern setting, promising a riotous take on this bel canto classic. 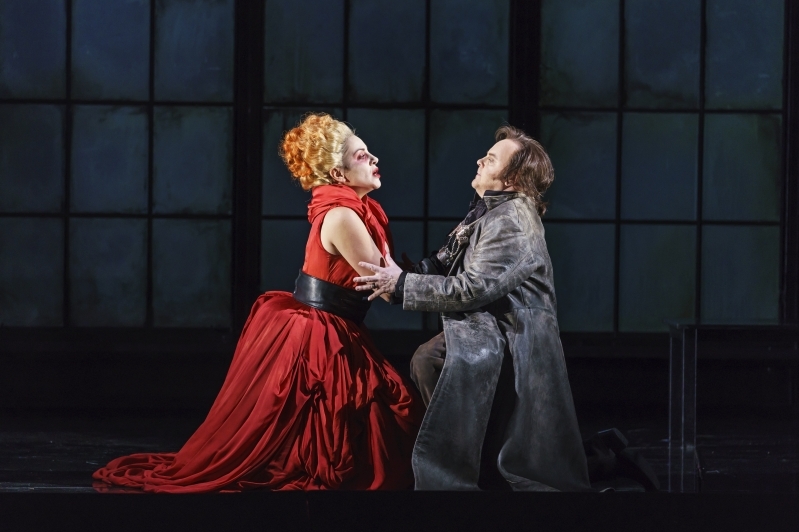 Although Lucia di Lammermoor with the aria ‘Spargi d'amaro pianto’ is perhaps often seen as Donizetti’s best example, Elisabetta in Roberto Devereux provides a comparable role for a singer in terms of demand on the vocal acrobatics, as Bellini’s Norma. Norma’s opening aria, ‘Casta Diva’, is one of the overall greats of bel canto but Elisabetta’s final aria, ‘Vivi ingrato – Quel sangue versato’ is a ‘towering virtuosic aria’ (Sarah Lenton, WNO Spring 2019 programme) with a similar vocal endeavour needed from the singer to that of the Queen of the Night’s aria in The Magic Flute. Bellini, the final key bel canto proponent, is a composer whose work WNO does less often, in fact I puritani, from our Madness Season in Autumn 2015, is the most recent example. Our current Roberto Devereux, Barry Banks – acclaimed for his bel canto repertoire, sang the romantic lead Arturo in this production too with its demands for a virtuoso tenor in arias like ‘A te o cara’. For bel canto singing style, artists are revered for their abilities in vocal embellishment – across the entire note range for the voice type. Tone should be rounded, rich and smooth, and kept even. Then there is the need to be able to sing quietly, then at full volume and back again, without loss of tone (or needing to take a breath!) Unsurprisingly, those that build a name for themselves in bel canto appear again and again in productions of the three greats, Rossini, Donizetti and Bellini. There are still chances to see our production of Roberto Devereux with Barry Banks this Spring as our tour continues to Bristol, Llandudno and Southampton. Don Pasquale opens in Newport on 25 May before beginning its tour.